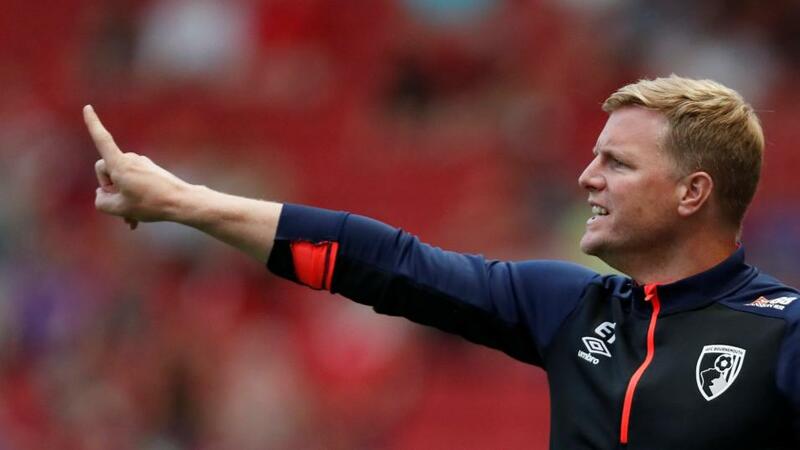 Can Eddie Howe point Bournemouth to victory over Brighton? It's a south coast derby when Brighton take on Bournemouth. Opta presents the vital statistics. "Only Fulham (44) have conceded more away Premier League goals this season than Bournemouth (37)." Both teams to score is [1.84]. Brighton are looking to win consecutive competitive matches against Bournemouth for the first time since January 2008, following their 3-1 win in the FA Cup third round in January. They are [2.4] to claim victory. Bournemouth are unbeaten in their last nine league games against Brighton, winning five and drawing four. A win for Bournemouth is [3.3]. Brighton have lost only one of their last 14 home matches in all competitions against Bournemouth (W7 D6), losing 0-2 in April 2015 in the Championship. The draw is [3.4]. Brighton have lost three of their last five Premier League home games (W1 D1), as many as they had in their previous 17 at the Amex Stadium (W9 D5 L3). Bournemouth are [2.36] in the Draw No Bet market. None of Bournemouth's last 19 away league games have ended level (W5 L14), with the winning side netting at least two goals each time in those games. A Brighton win and over 2.5 goals is [3.8]. Bournemouth won six of their opening 10 Premier League games this season (D2 L2), taking them up to sixth in the table at the end of October. Since then, they've won just five of their 23 league games (D3 L15) with only relegated Fulham (17) and Huddersfield (18) losing more Premier League games than the Cherries since November. Brighton are [1.7] Draw No Bet. Only Fulham (44) have conceded more away Premier League goals this season than Bournemouth (37). Both teams to score is [1.84]. Bournemouth's Callum Wilson has scored in both of his league appearances against Brighton at the Amex stadium, netting two goals. Wilson is [2.9] to score. Brighton striker Glenn Murray has failed to score in his last eight Premier League home games - he last had a longer goalless run at home in the English leagues (excluding play-offs) between October 2011-April 2012 with Crystal Palace (14 games). Under 2.5 goals is [1.86]. Bournemouth's Ryan Fraser has provided more assists away from home than any other player in the Premier League this season (6), with the Scotsman setting up four of Bournemouth's last eight goals on the road. Over 2.5 goals is [2.12].